Such an interesting first day with my winged friends. Let me share some hilights and observations. I visited the nest where I released the adult male with the fractured keel last year. Many of you may have followed that story. After a month in rehab, I returned him to his nest and much to my surprise, his mate went after him as if he were an intruder. She was relentless in her nest and chick defense. She had struggled to care for three chicks alone and probably viewed him as an unfit mate who failed to provide. He kept trying to bring fish but she would not allow it. Eventually she left on migration leaving the three chicks behind and he stepped up and provided fish after she departed. I was so happy to see him this morning, working so hard to rebuild his nest, which had deteriorated over the winter. I am so curious what will happen this year. I am so pleased though to see that he recovered perfectly and was able to complete another migration. Hats off to the Raptor Center for the good care he received. The long term follow up on rehabbed birds is valuable. I visited 12 nests today and found Ospreys on four of them. One nest had a pair of birds on the nest and I ended up spending several hours there. The female was quickly identified as the same one as past years. The behavioral clues made me think it was a different male though. He remained in the nest where I could not read his band, but the females constant food begging was ignored. When she finally moved into the nest, closer to him, he turned his back, hung his head and shook his wings. This is a classic defensive behavior. Old mated pairs do not usually act this way. That kept me there watching, wondering who he was. He was uncomfortable with human activity, unlike the territorial male, and he flew off frequently. But he returned each time. I could see a band but could not read it. They tried to copulate once, unsuccessfully. He finally moved to the nest edge where I could read his band. He was indeed a male from another nest, not too far away. But his nest had been removed from a cell tower so he was out and about, looking for a territory. This is the time of year that I observe the game of musical nests! Where will they end up and who will partner with whom? I love to document all the movement between nests. The territorial mate at this nest has often been a slightly later return, and his female often beats him back. She hooked up with another male last year at this time, prior to her regular mates return. He swiftly jettisons any new male who may try to take over his territory. We will see what happens! So there is the first chapter in the 2016 Osprey Watch saga! I hope to get out again on Sunday! Osprey season has officially begun in Minnesota. I received several reports in the past 24 hours, and tho I spent most of the day yesterday at Apple or on the phone to Apple dealing with iPad problems, I am finally out here checking nests. I have visited ten nests so far and found at least one osprey on four of them. I am now at a nest with a pair....waiting to see the males band. She is the same banded female as past years and is food begging very loudly. He is ignoring her. I will have more stories to share tonight. Just wanted to let you all know, we are off and running! I have been out there all morning, visiting 21 nests on the west side of the metro. Not a single osprey was seen, no sign of white wash on the platforms, no fresh sticks piled up, no vocalizations were heard. We will have to be patient...it could change tomorrow! I checked seven osprey nests today...didn't see any Ospreys, no whitewash, no sign of nest rebuilding. We hear there are some in Michigan and on the east coast, tho I have heard no sightings in Montana. We wait....any day now! I will check a few nests tomorrow too. Happy Easter to you all! 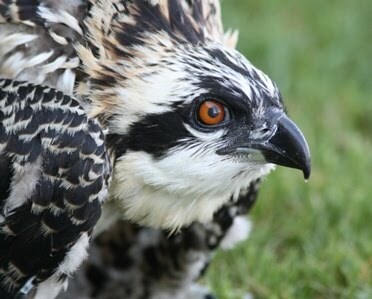 The east coast Ospreys are on their way...I am sure ours are also. Keep me posted if anyone sees one. Maybe next week! The third week of March is usually our first sighting! I can tell that everyone's interest in the Ospreys is starting to stir. Reports of a few Ospreys trickling up the east coast lets us know that our friends are on their way back home. Ospreys with satelite transmitters on have begun to move, according to several websites. It's time to connect again with all the wonderful volunteers from last year, and to see if you all will be returning for another season of Osprey watching. Let me know! We always need more volunteers to help us watch over this growing population, so send an email if you would like to get involved. We like to have nests checked once a week and I have a guideline for what behaviors we are watching for. I love spending time in the field with the volunteers to teach about behaviors, to share the interesting observations, and I am always willing to answer questions about these birds I love so much. So keep your eyes open and keep looking up! It won't be long! I also encourage people who are reading this blog to check out our Facebook page...there are many more conversations going on there during the Osprey season.